Hello friends, if you passed HSLC & AHM examination this year in Assam. Then you wait for Free Laptop 2018 in Assam. 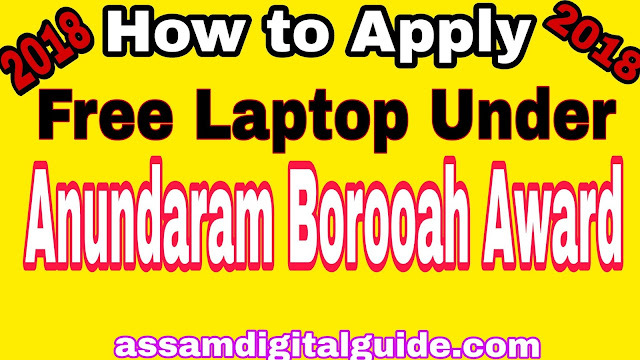 So your waiting is going to over because Assam Government Education Department has announced the registration details of distribution of laptop recently in Assam. Its a best moment in all of your life when we get a reward from our best works, No doubt I can fell this moment very well because in 2011 I also got a free laptop from Assam government anundoram borooah award. 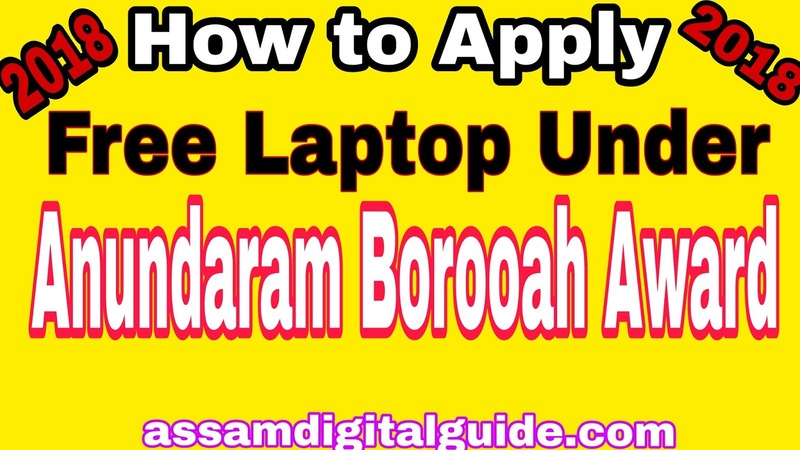 in this article, we discuss all the procedures of how to get your free laptop 2018 under Anundoram Borooah Award 2018. So read carefully and until the end then you get all the important information about the full process of a free laptop in Assam. You all know that Government reward is very important for a person and it is a very proudful moment for each and every person in his life. This award gives to students with an aim of recognising his dedication with his/her study and promote and enlargement of students whose comes from the poor family background they don't have to buy a laptop in their learning time. You all know very well that a laptop/a desktop/a smartphone is how much needed in that time. All the works and others activities are an online mode in that time, so all the students must have a proper computer knowledge as well as his good study also. So the government has decided to gives a free laptop to all the students who passed HSLC/AHS examination in Assam securing 75 % above marks. If we see an earlier year of this prize statistics then we saw that this scheme helps to students to boost their computer knowledge and makes the digital performance at a higher level. 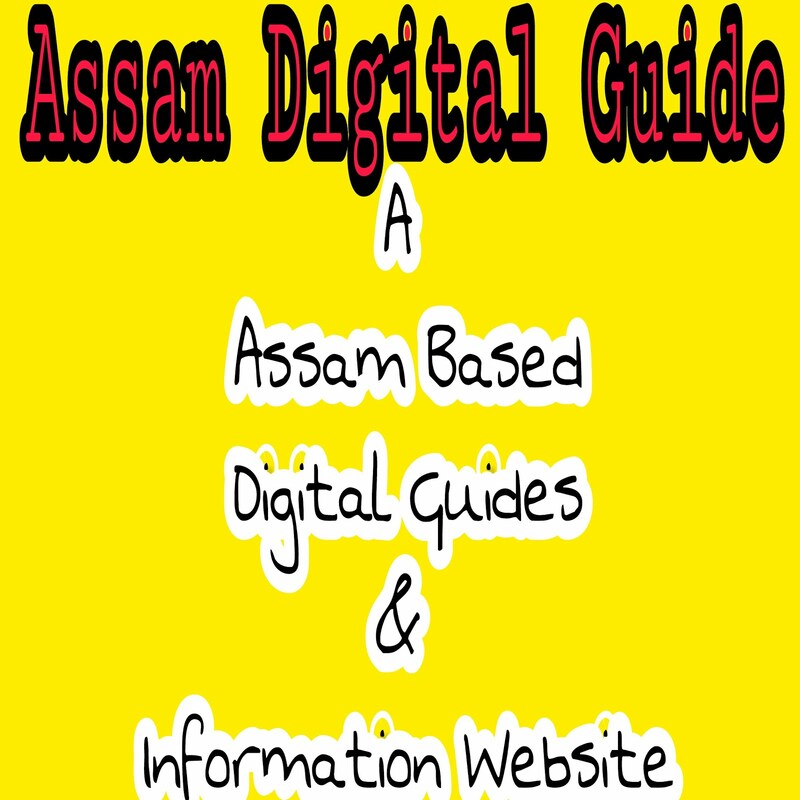 It helps a lot to make digital Assam initiative by Assam Government. About this scheme: In Assam, this scheme has a very important role because Annandoram Borooah was one of the best ideal people in Assam. This scheme is based on his ideal name with his ideology and thinking and his role of Assam education. Every year Assam government has been distributed a free laptop to every merit students in Assam.All the works on this scheme under the Assam education department. Eligibility of this Scheme: The candidates who have passed HSLC/AHM examination with a good percentage approx 75 % and its above then they are eligible for this award. This is a prize or reward for the merit of students in Assam. It is called the Scheme of Merit. Step1: Go to official website of this Scheme. Step2: Then visit the page and find out the award recent link to register. Step4: Fill all the form correctly & Completly. Step5: Take a print copy of it. Only those students who have a score with 75 % and more than that then they can apply for this scheme and get a free laptop from Government of Assam. Assam chief Minister sarbananda Sonowal will present at the meeting and gives the award also present Assam finance minister Himanta Biswa Sarma and Assam Education minister and Local MLAs. Conclusion: In Assam, the scheme of Anundaram Borooah Award is a very important Scheme of each and every student in Assam.Because Anundarm Borooah was one of the prominent persons and well-talented person from Assam. He was the first person who cleared civil service examination from Assam. So his ideology is totally based on this scheme. So each and every year all the students have a dream upon all of their minds to get this award. The CM of Assam has announced the registration date declared Now you can register for your free laptop if you are scoring 75 % marks in HSLC [High School Living Certificate] 2018 Assam. One recommendation for you that take your laptop safely and uses it on your works and work only on your valuable activities. Not uses as your time pass. So go on the official website and quickly register yourself and get your free laptop. The best budget laptops are affordable, brand-new computers that get the job done without digging too deeply into your pockets. Visit laptopsgeek for more information.